Bring Coach Poppy Flower to life by styling yourself in the spirit of the fragrance. Chic. Vibrant. Whimsical. Let Coach Poppy Flower inspire your look from head to toe. 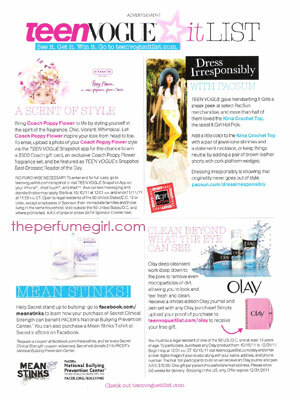 A pretty scent can be as unforgettable as your first crush. So find the fall fragrance that brings back those butterflies all over again. Puppy Love - It's the sweet stuff that makes you smile -- like cuddles, kisses, candies, and flowers. Picture yourself on a picnic date in a bright, sunny field with this fresh blend of lychee, water lily, and jasmine. 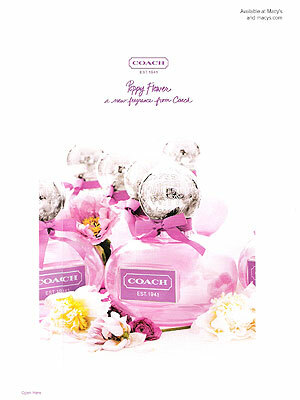 Coach Poppy Flower Eau de Parfum Spray, $65 for 1.7 oz., department stores. 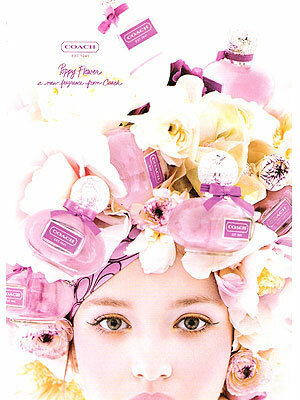 Sparkling Bouquet - Lychee and raspberry make it fruity at first, but the fragrance settles into a rosy floral. 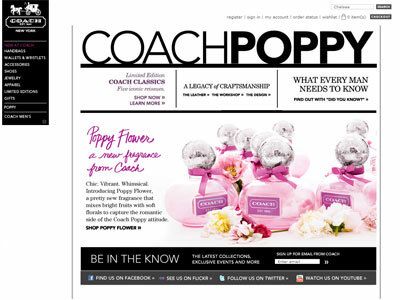 Coach Poppy Flower eau de parfum, $65/1.7 oz. ; coach.com.